Chia is an evidence-based registered variety of Salvia hispanica L. and is nutritionally superior to flax and soy. Chia is the richest non-marine whole food source of Omega-3 and dietary fiber currently known to man. Listed below are a few of the health benefits of chia seed. According to the American Heart Association, Omega-3 fatty acids can normalize blood pressure and bad cholesterol levels, while helping promote healthy heart and blood vessels. With six times more calcium than milk, and with greater amounts of high-quality protein than the one found in soy, Chia also helps strengthen muscles and bones. Chia can absorb a whopping 12+ times its weight in water – flax seed only absorbs 6-8 times its weight. 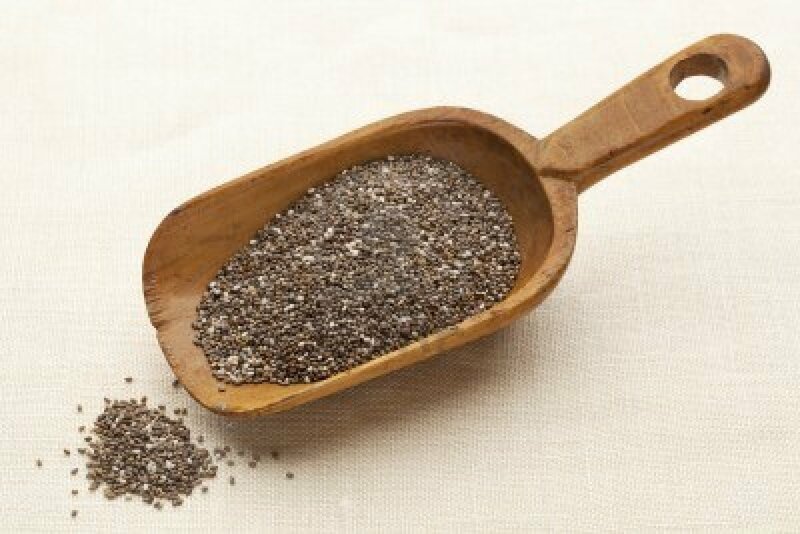 Chia´s insoluble fiber reduces digestive transit time and removes toxins as it passes through the digestive tract. Chia´s high fiber content and its ability to reduce blood sugar levels after meals inhibits the appetite, thus making it the perfect food for healthy, effective weight loss. Thanks to its neutral flavor and color, Chia integrates seamlessly into any healthy recipe.